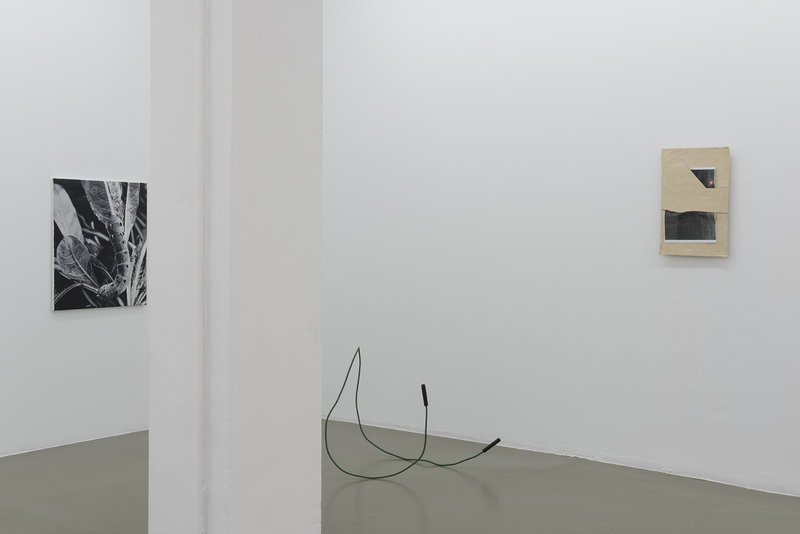 Maisterravalbuena is pleased to present Marzena Nowak and Tania Pérez Córdova’s first time in Madrid exhibition. 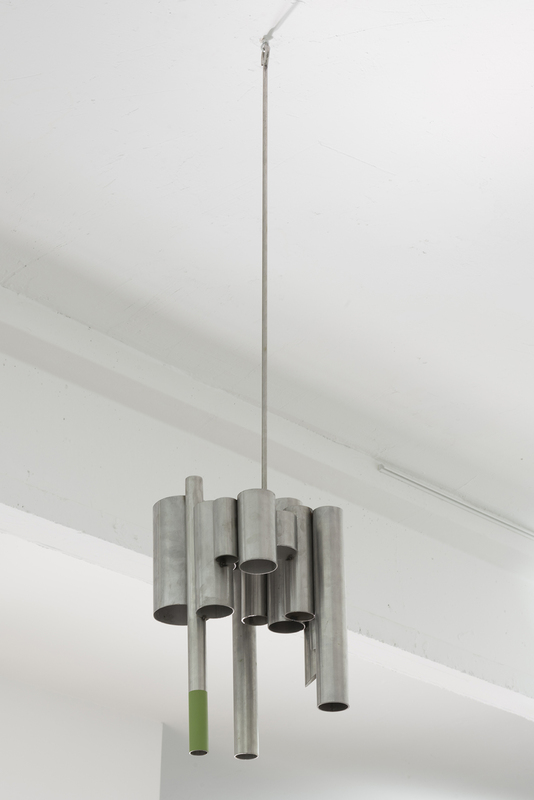 The exhibition shows a dialog between the two artists, understanding their work in a wider context, as they present not only new pieces conceived for the exhibition, but also former pieces showing the common working ways the two artists share, in particular, understanding the object as an experience beyond its materiality. Nowak and Pérez Córdova’s works join together different times and memories that fully spread out in the context of the exhibition. 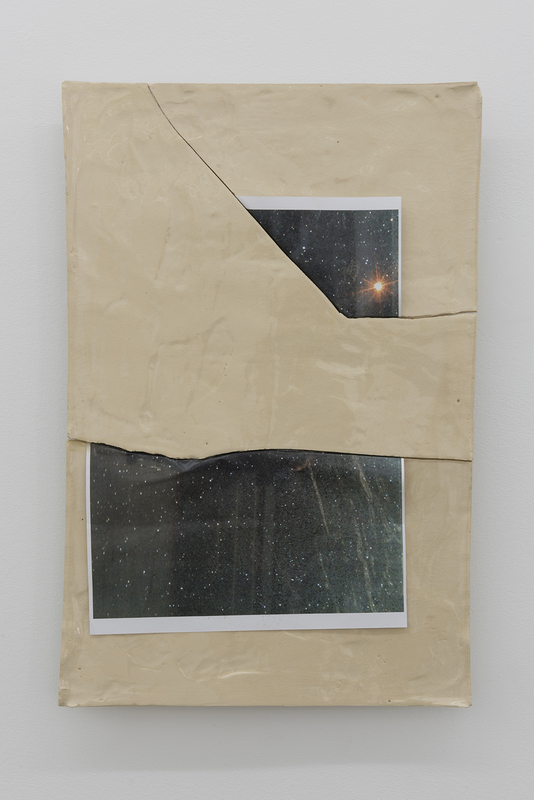 Thus, objects are treated as events, and only in the exhibition’s present time references and actions revive, printed in the surface and in the image of the piece. This is shown in “How to use reversed psychology with pictures”, 2012-2013 by Tania Pérez Córdova. In order to carry out the work, the artist bought a linen cloth dyed in black in a shop in Mexico, and applied on it chemical products used in the textile industry to test the wear and tear of the fabric’s colour, in order to assess its durability by simulating its use. 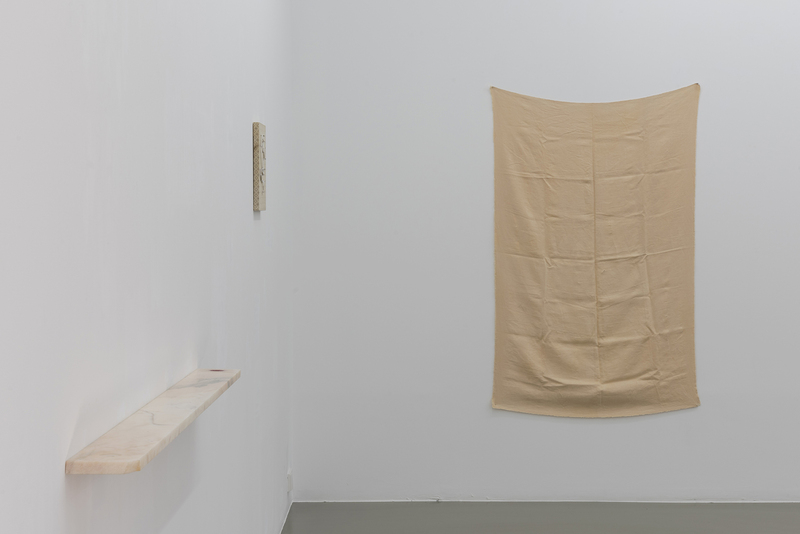 Through the accelerated and artificial ageing of the cloth, Pérez Córdova symbolically represents time’s inexorability and the stratification of images appearing on the material’s surface. In “Carpet Piece with cards”, 2016, Nowak takes an old carpet and makes some cuts using her memory and bringing back family situations that may have occurred around this object of everyday use. 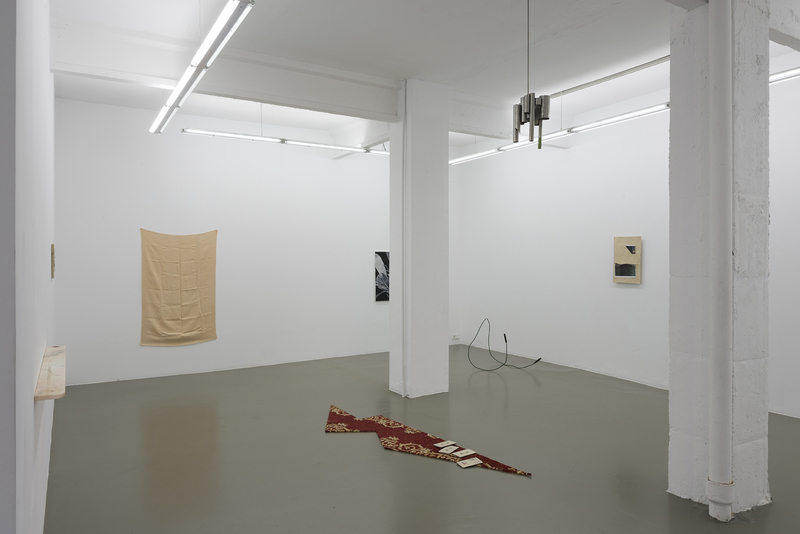 The artist tries to recall the visible parts of the carpets left between the furniture of the homes where she has lived since her childhood. Storytelling is crucial within the work of the two artists, where absence and immateriality occupy the same space as the object and complete its meaning. These objects gather together moments of great psychological load and let out a glimpse of situations that could belong to the intimate and personal sphere as in the case of Nowak, or reflect different social behaviours as in Pérez Córdova’s work. 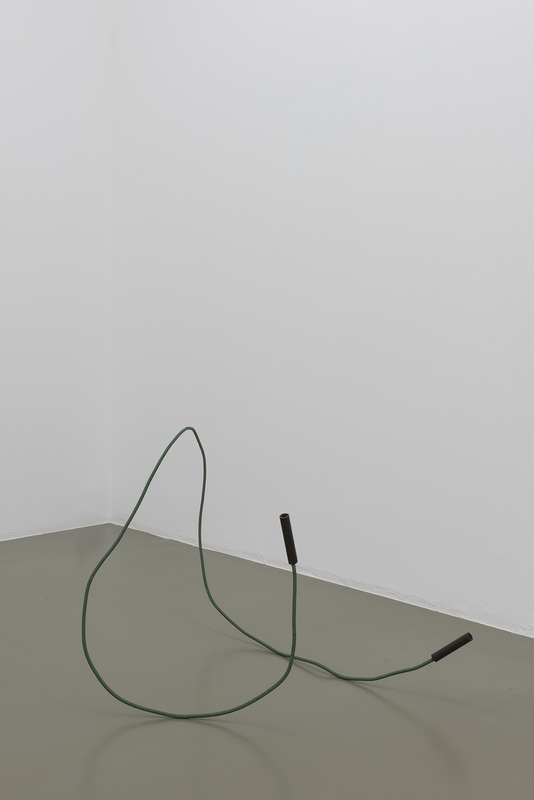 In “Untitled (Jumping rope)”, Nowak uses symbols of games as an incentive to bring memories of a possible story, representing a skip rope made of iron being propelled up in the air by someone right at the moment of jumping. We can see it rigid, on the verge of falling onto the floor. The observer feels a moment of strangeness, since he has to complete the dangling story. 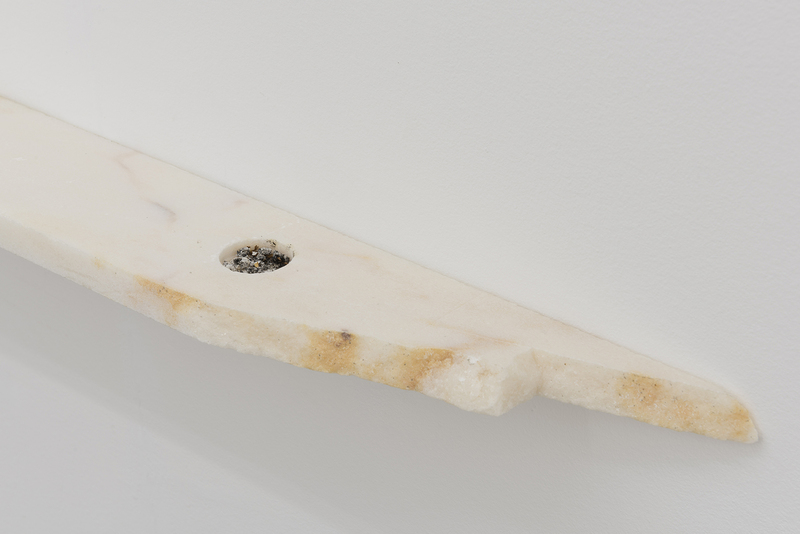 Similar processes can be found in Pérez Córdova’s two marble pieces, both entitled “Something Separated by Commas”, 2014. Each piece is made of an irregular long marble block, with two tiny circle holes in each end. 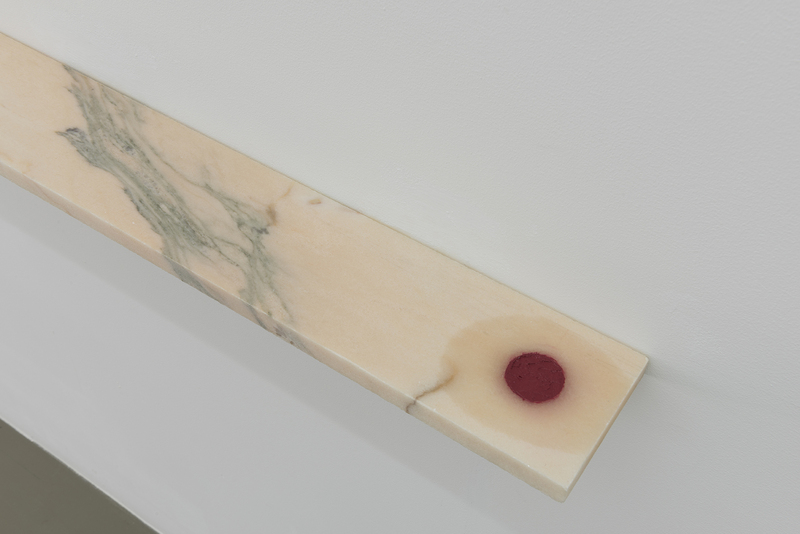 The marble block serves as a stand or stage where the story starts: in one of these holes we can find green contact lenses; in another, there are rests of a cigarette’s ashes and, in other one, traces of lipstick. They are signs that something occurred or is just about to occur, and it talks about typical Mexican social behaviors, as the use of green contact lenses among young people as a way be different. 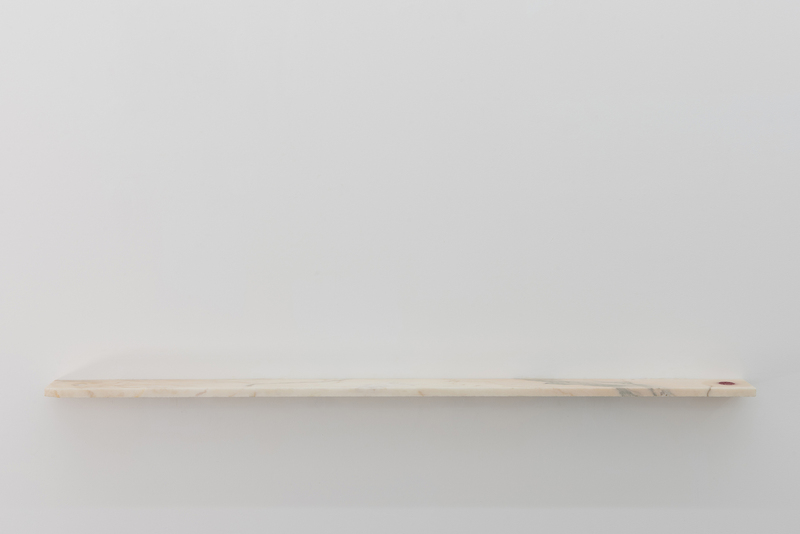 In this piece – as in “Jumping Rope”- the absent elements act as a vehicle for the experience that the observer may have before the piece and its surrounding space. 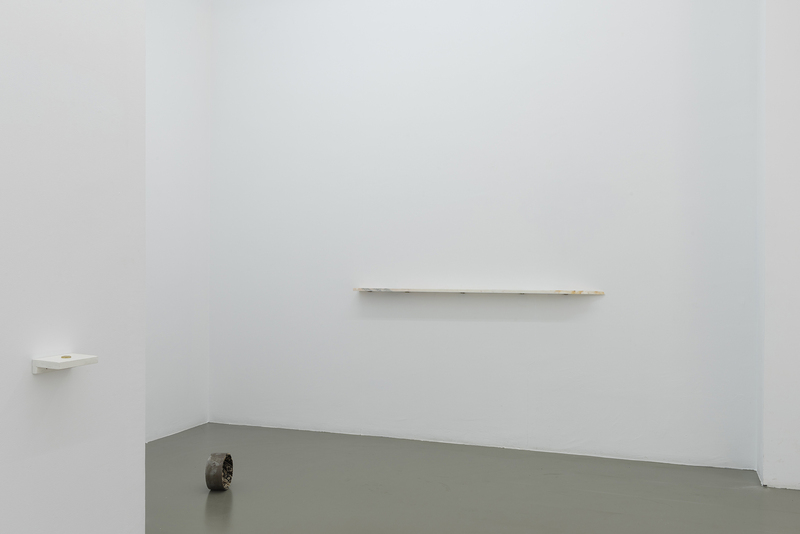 Pieces like “Holy Drunk” by Pérez Córdova or “Untitled (Painting #1)” by Nowak talk about consumption habits and image reception in a given time period both in Mexico and Poland, as well as about the use of representation of existing objects as a critical comment. In “Holy Drunk”, Pérez Córdova presents a replica of a Mexican 10-peso coin using bronze and melted Corona beer cans. 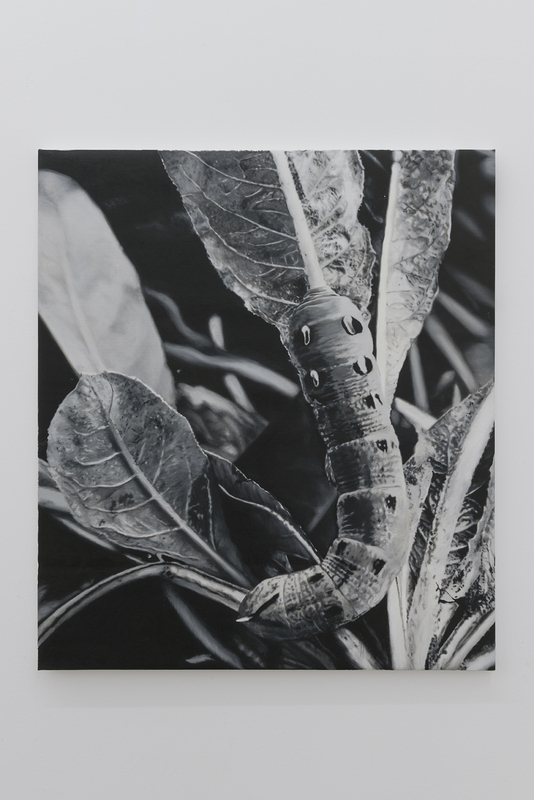 In “Untitled (Painting#1)” Nowak copies the cover of a science book from the 70’s in black and white oil on canvas. With this painting, Nowak refers to her past in Warsaw in the 70’s and 80’s. It was a period where posters and paintings hardly existed as an art or decoration work, and it was common to scrap and frame book covers in black and white to decorate the rooms of houses. 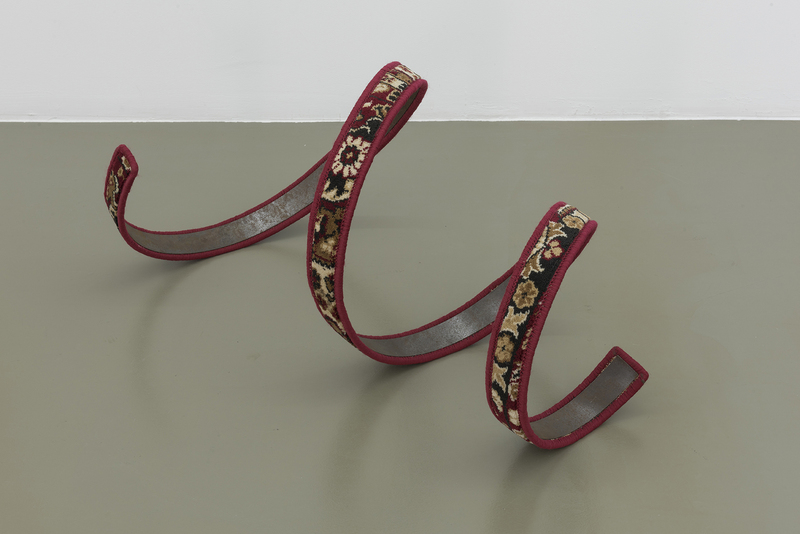 Marzena Nowak (1977, Piaseczno, Poland) has recently shown an individual exhibition in the CAC of Vilnius, Lithuania. She has internationally exhibited her work in spaces such as Mumok en Viena; MSN Museum in Warsaw, or in the Kunsthalle Krems Factory, Austria. Tania Pérez Córdova (1979, Ciudad de México) shall exhibit her work individually this year in the Museo Tamayo, Ciudad de México. 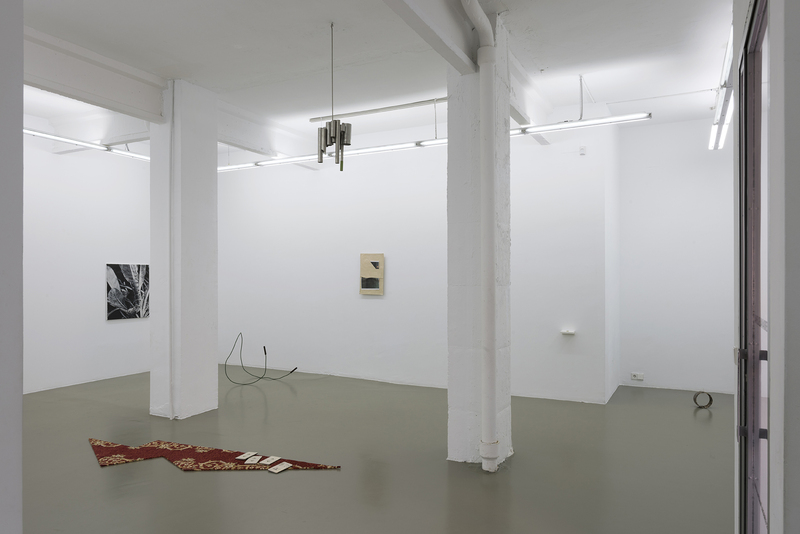 She has recently shown her work in 2015 Trienial: Surround Audience, New Museum, Nueva York; Mercosul Biennial, Porto Alegre, Brazil, and Six degrees of separation, FRAC Lorraine, France.